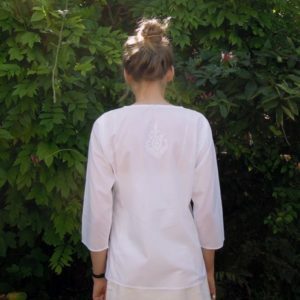 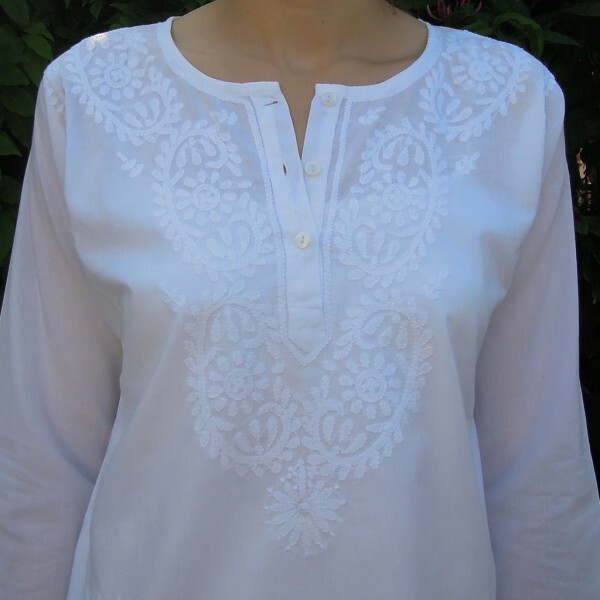 Pretty white pure cotton top hand-embroidered using traditional techniques by a Fairtrade organisation in Lucknow, Northern India. 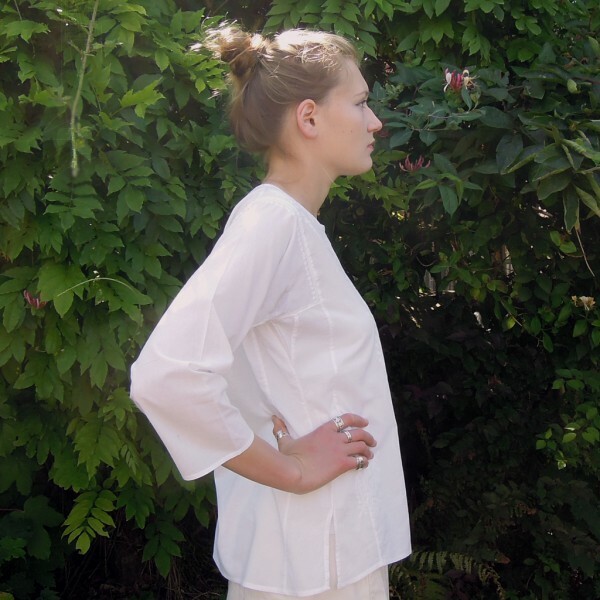 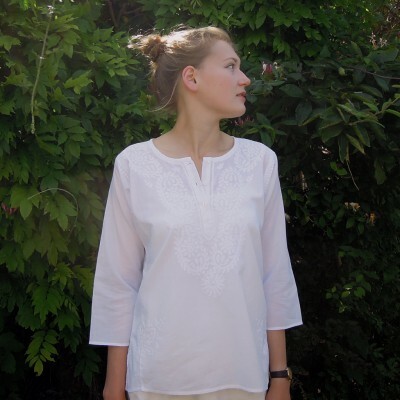 In cool, light cotton with beautifully detailed embroidery this top is a perfect addition to your summer or holiday wardrobe. Model is wearing a Medium. 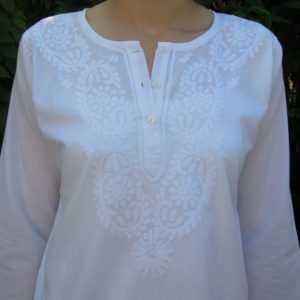 Machine washable at 30 degrees centigrade with a gentle detergent.